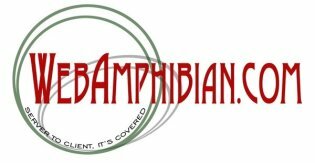 WebAmphibian.Com has been called upon to do on-site training. This is typically done in small groups where quality one-on-one time can be had for all attendees. Most of these presentations have been on relatively low-technology subjects, and have been presented for either free, or very low cost events. Many times, living in Oklahoma, we see in the news various accounts of people and or whole towns being blown off the map by a tornado. Alternating years, it might be wild fire or an ice storm that catches people off guard. But preparing for a generic disaster can be just a matter of thinking about the steps necessary and then performing them. Mr. Stolfa has presented classes on this topic to various groups, and even offers a Disaster Preparation Service to those businesses/individuals that feel the need. Such topics as what to prepare prior to a disaster, what kinds of kits to stage to assist you through a disaster, etc. are covered. Mr. Stolfa is trained to develiver the Preventative Relationship Enhancement Program (PREP) to interested couples. Training sessions are routinely scheduled through either St. John Catholic Church and University Center or St. Francis Xavior Catholic Church. More information on the content of these workshops can be found on the PREP Home Site. This class was presented via a community extension course in Shawnee Oklahoma. The goal was to provide insight into reading advertisements, trade literature, etc. for computer hardware and services to those not normally involved in such endeavors. This class was presented as a "brown bag lunch" to employees and their families at Sciperio Inc. in Stillwater Oklahoma. During the course of this class, a computer was completely disassembled and reassembled.